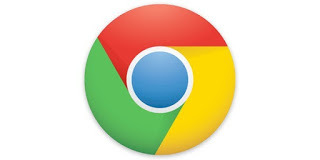 Google Chrome is a nice web browser and is available for all desktop and mobile platforms. It gives good web surfing experience on all kind of devices. If you use Google Chrome on your touch devices, you can get better experience by optimizing your browser for touch devices. 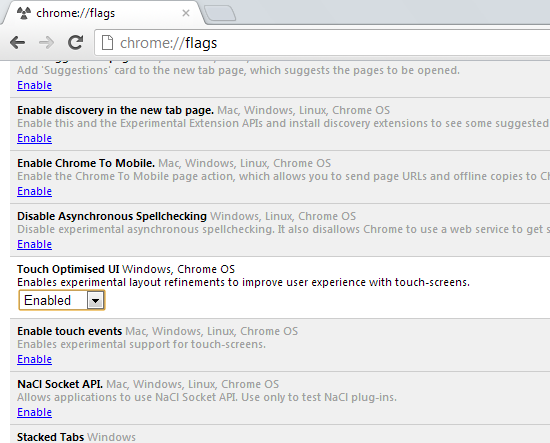 Google Chrome has a hidden setting that enable a better optimization of browser on touch device. Step 1: Start Google Chrome and type chrome://flags in the address bar. Step 2: Scroll down the page and find the option, Touch Optimized UI setting. By default, it is set at Automatic. You need to set it to enable. Step 3: Now restart Google Chrome. You can restart it by Clicking on the Relaunch Now button at the bottom of the page. After enabling this setting, you will see bigger menu and icons. These bigger icons and menu options will be easy to tap on touch devices. Thus, you will get better user experience.